The good news is that all 165 people onboard the China Airlines flight that exploded in Okinawa on Monday survived. The bad news is that this isn’t the first time a 737 with a similar engine has caught fire, and at least four previous incidents have been on U.S. carriers. According to an AP article, at least four 737’s made by Boeing and containing General Electric-made CFM 56 or similar engines caught fire in the U.S. between 1998 and 2005. None of the previous cases involved the “dramatic fireball” that destroyed the China Airlines plane, and industry analysts downplayed the significance of a connection. 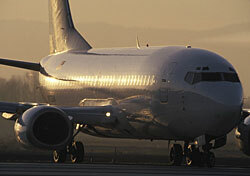 However, officials in Taiwan and Japan ordered emergency inspections of 737’s owned by domestic carriers. If you’d sleep better knowing the next plane you fly on has been properly checked for all safety hazards, ask the FAA to run similar inspections. You can either email or call 866-TELL-FAA (866-835-5322) to state your concern.